This topic will be one of several featured at an official COP23 side event hosted by the Center for International Forestry Research (CIFOR) on Thursday, 9 November in Bonn, Germany. Can REDD+ benefit the poor? This is a question that we have been asking for many years through CIFOR’s Global Comparative Study on REDD+ (GCS-REDD+). The REDD+ Safeguards articulated by the United Nations Framework Convention on Climate Change bring the so-called ‘non-carbon benefits’ of REDD+ to the forefront, including rights, participation and social co-benefits. Accordingly, the success of REDD+ depends on both reducing carbon emissions and enhancing, or at least protecting, the rights and well-being of people who depend on forests (and often forest clearing) for their livelihoods. Through GCS-REDD+, we have since 2010 been evaluating the impacts of REDD+ interventions at 22 subnational sites in Brazil, Cameroon, Indonesia, Peru, Tanzania and Vietnam. We combine an analysis of Global Forest Change data with longitudinal socioeconomic surveys in 150 communities and nearly 4,000 households through a ‘Before-After-Control-Intervention’ approach to assess how REDD+ jointly affects forests and people. So far, impacts of REDD+ on both forests and human well-being have remained incipient. A recent article in Environmental Research Letters highlights a reduction in tree cover loss at the village level in about half of the REDD+ sites studied, and no effect in another third, when compared to control areas. Another article in Forests shows that REDD+ has not yet contributed significantly to local perceptions of well-being or income sufficiency at the study sites. These findings may be due to a variety of factors. The time horizon of our assessment is still very short (2-3 years in the ‘After’ period). Funding for REDD+ has not come through in the way initially envisioned, thus limiting the intensity of action on the ground. 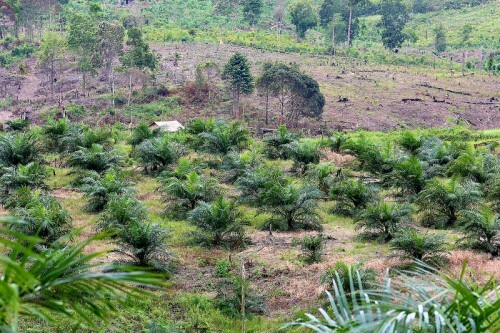 And the REDD+ bundle of interventions is mega-diverse, as it perhaps should be in a pilot phase: land-use-conditioned payments for environmental services are less prominent than non-conditional investments in sustainable livelihoods, which figure alongside enabling measures such as tenure clarification, and disincentives such as restrictions on forest access or conversion. We still must make better sense of what ingredients in this bundle – so far applied to a limited degree – have worked best for forests and people, respectively. Still, we have evidence that social safeguards for REDD+ matter in managing tradeoffs between carbon and non-carbon benefits. New findings in Ecology & Society highlight that while heavy-handed restrictions are most effective in curbing forest clearing, on their own they negatively affect tenure security and local perceptions of well-being. Yet when incentives to enhance livelihoods are added to the mix, the negative well-being effects are cushioned, reinforcing the potential of incentives to alleviate the burden of land-use restrictions. While smallholders are generally aware of local REDD+ initiatives, this article also highlights their limited participation in decisions on what interventions would be applied, or how. So, can REDD+ benefit the poor? The answer is ‘yes, in principle’. But pro-poor outcomes in REDD+ seem more likely when local rights and livelihoods are a well-prioritized part of the action, when local people are genuinely involved in program design and implementation, and when robust impact evaluation approaches have been put in place to properly track the social impacts of REDD+. A version of this article was originally published in Spore magazine.